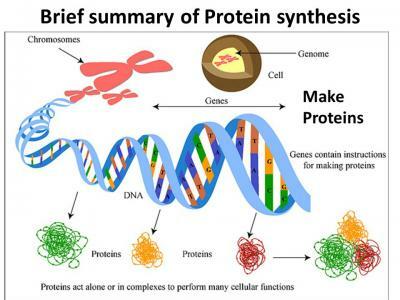 Description: In this Web Quest you will go through web videos, interactive links, readings and group projects in order to understand that there are 2 processes of Protein Synthesis: Translation and Transcription. You will find out where Translation and Transcription takes place, review on ribosomes and where the ribosomes are located. At the end of the Web Quest you will learn how to read a DNA strand in order to find its complimentary base pair. You will be able to understand what mRNA is and how to transcribe it by finding the correct base. From transcription you will translate the mRNA codon with its correct amino acid by reading a Codon Table. WOW!!!!! LET'S BEGIN!! !